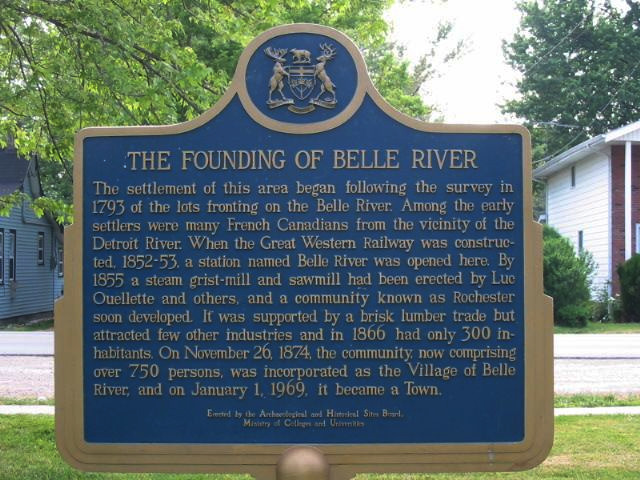 It has been 74 years since a group of civic minded men voted to form the Belle River Lions Club (1944). Their sponsoring club was the Kingsville Lions Club. At the club's 50th Anniversary, we had only one active member of 50 years service, that member was Lion John George who was also Mayor of Belle River for almost as many years. Today, the longest serving member Lion Jimmy Taylor, who joined in November, 1962, with 56 years of service. Of note in the past 22 years are Lions Frances Dingman and Lion Anne Marie Tellier who made history as the first women in the club in April, 1996. Lion Frances was also the first woman president in 2002 to 2003. There are now 20 women members. For the Lion's Year 2018 to 2019, the club president is Lion Debbie Lemire iamalion2016@gmail.com. "Izzy" was our oldest member to join at age 91 years of age. He was a valuable asset at both Bingo and SunSplash. The club has relied on the generous amount of time put in by HONOURARY members, as well as wives and family members at all Lions events. The Belle River Lions are a diverse group of dedicated individuals who have carried out their motto "We Serve" for the past 74 years as part of the world's largest service organization. The members of the club also have contributed to serving on the District A-1 Cabinet (District Governor, 2nd Vice-District Governor, 1st Vice-District Governor, 3 Past District Governors, 2 Past Deputy District Governors, 1 Past Region Chair, 2 Past Zone Chairs, 1 Past Cabinet Secretary and 1 Past Cabinet Treasurer). As well as, serving as Chair on various District Committees. The club's future is bright as our membership is now up to 53 members strong with the addition of three new members in June, 2018. The club is always looking for new members to assist in all of our service projects. This club looks forward to continuing to provide service to their community and world. Once again the Belle River Lions Club participated at the Car Show in Belle River on July 13th and the Lawn Mower Tractor Races on July 14th serving hot dogs, pop and water as a club fund raiser.